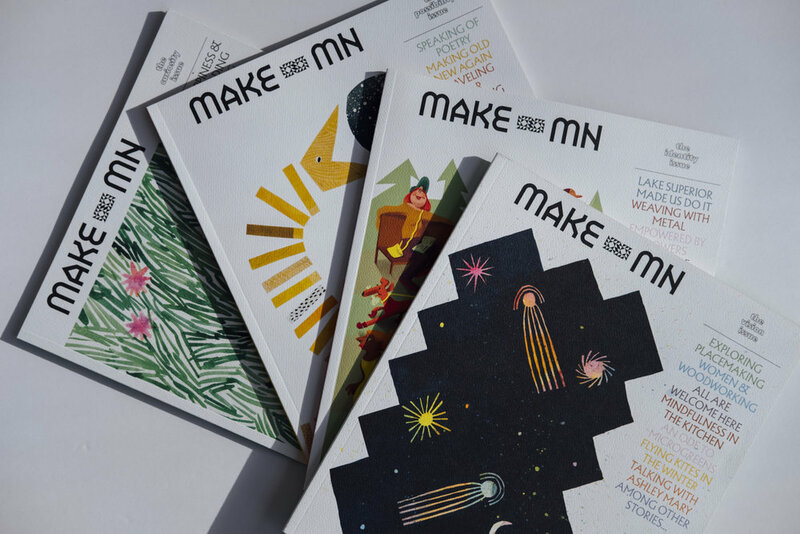 Make MN Magazine is published by a small, hardworking team headquartered in Minneapolis, MN. Additionally, we collaborate with a community-centric network of talented contributors on print and digital content. If you’re interested in collaborating, contact us. Kara is a Minneapolis-based writer and casual business lady who finds a great deal of inspiration in building this magazine. Sara is a Minneapolis-based graphic designer and illustrator, working primarily for artists, arts organizations, and mission-driven folks. Big thanks to all these thoughtful, talented voices for sharing their magic with us. Without these humans, this magazine would not exist. We are so grateful for every one of these writers, photographers, growers, artists, and friends.